Various updates to default packages and capabilities are made to the default image with each major release of Bamboo. then to ensure this elastic image acquires these package/capability updates, use the flow chart below to update your elastic image. Use this flowchart only after Bamboo has been upgraded. For each elastic image you wish to update, follow this flow chart from the start. 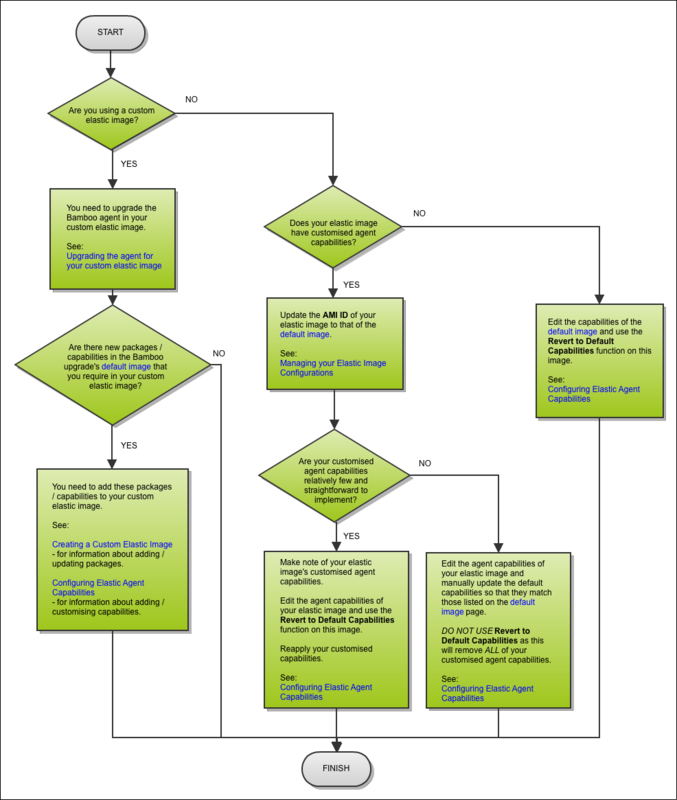 This flow chart assumes that all elastic images with customized agent capabilities are based off the default image.Please check the default image page to identify the packages and related capabilities available in the default image for Bamboo 6.6.